There is a tremendous responsibility that comes with earning a patient’s trust. 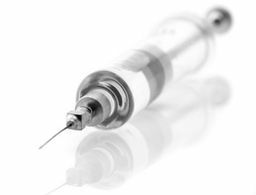 It starts with recommending the appropriate procedures that a patient needs to achieve his or her goals without pushing or selling anything, and continues with doing the best I can to meet and exceed the patient’s expectations. My goal is to make you look natural. In addition to being a board-certified facial plastic and reconstructive surgeon, I am also a board-certified otolaryngology surgeon, and that is an advantage for my patients. I also demonstrate a commitment to excellence and keen attention to detail. It’s the little things, like where you place incisions and how you close them, that make a big difference. Bright, clean, modern and uncluttered. It’s more spa-like than clinical looking, but it’s serious and professional, with an increased sense of privacy. Soothing colors and warm lighting make our patients feel calm and confident. What are some of your most requested procedures? 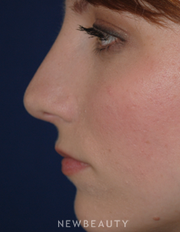 In the surgical arena, it would be rhinoplasty, eyelid surgery and mini-facelifts. What is a useful beauty tip for our readers? Remembering to exfoliate is key because our ability to turn over skin cells slows down as we age. I take a holistic approach to educating and partnering with my patients. I use my listening skills to understand their motivations, and tools like computer imaging to draw realistic, potential results for the patient. I then recommend different treatment options that are within their comfort zone. Patients should feel empowered by this education, understand what to expect and know that they aren’t alone. It’s a true partnership to reach the set goal. I realized in my medical rotations that I thought like a surgeon, and that I enjoyed problem solving. 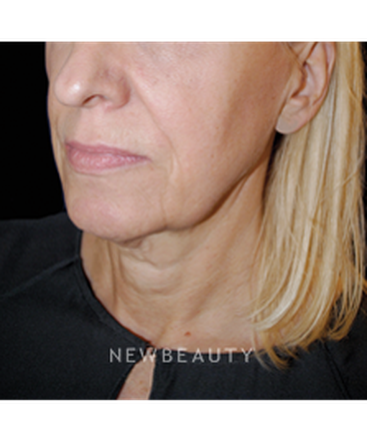 I love working with my hands, and the detail and artistry that comes with plastic surgery. I love that no two operations are the same. It’s also really meaningful to have such a great impact on people’s lives. Patients have said that I am an artist because I help them look their best without looking like they’ve had work done. I’m often described as precise, thorough, knowledgeable, personable, patient, trustworthy, supportive and kind. As a doctor it is important to be equally caring and effective. 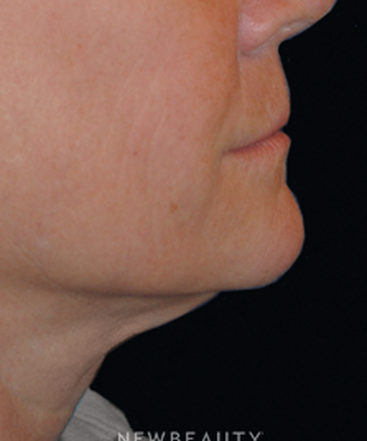 After a few months, I remarked noticeable jaw definition and chin definition. It took time but improvements are very clear, dramatic and noticeable. 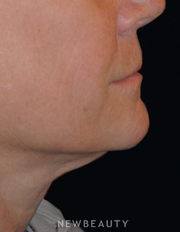 A remarkable treatment and Dr. Klausner was gentle, very patient and took a great deal of time. Dr.Klausner has the aesthetic eye of an artist. Her bedside manner is impeccable, never rushed and always kind and patient. 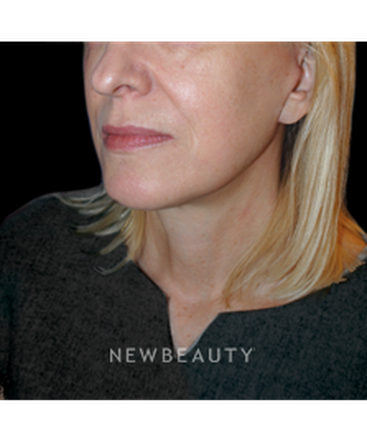 I recommend my clientele to Dr.Klausner often and with great confidence for her work is unparalleled. Both Lee and Melissa were great and couldn’t have done anything else to help make the procedure and aftercare better. The follow up calls and advice were also above and beyond what I expected. I couldn’t have been happier with my care. I am very happy with how this process has gone. Dr. Klausner’s sensitive, more reserved approach made me and my mom feel more comfortable before, during and after the operation. Dr. Klausner is honest and realistic as well as very detailed–all qualities that have made me feel comfortable and calm. Above all, Dr. Klausner is a caring doctor and I’m very happy and fortunate to have her as my surgeon. Dr. Klausner is the most personable professional doctor I have ever met. She listens carefully and addresses my concerns each time I’ve been to see her. 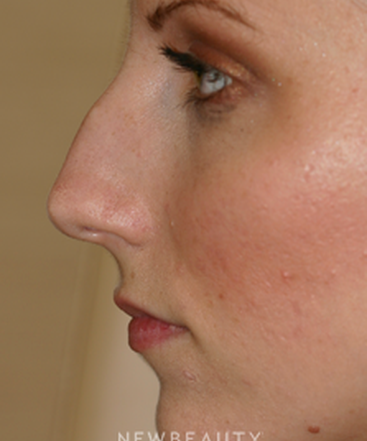 The results of her procedures are the most natural and beautiful. Her bedside manner is so reassuring. For the past few years I’ve been a patient of Dr. Klausner’s. At first, I took baby steps: a skin regimen to help repair the sun damage, fillers for the naso-labial folds, a little Botox for the furrow between my eyebrows, Ult-therapy to help tighten the skin. It wasn’t long before friends were asking if I had “work” done - the improvement was that good. 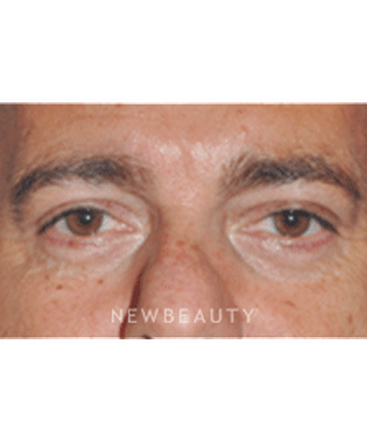 Recently Dr. Klausner performed an upper lid blepharoplasty and a mini-facelift. The result is spectacular and natural. It has been many years since I have felt this good looking in the mirror. Friends and neighbors do a double-take and then tell me how fabulous I look with the new hair-cut or ask if I lost weight. Ironically no one suspects that I had “work” done. 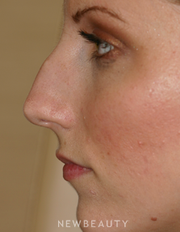 There are many talented plastic surgeons in New York City. Dr. Klausner is not only a talented surgeon but she is committed to her patient’s total well being. She took the time to get to know me and understand my needs. She tailored the surgery to make me look the best that I could. She truly cares. I could not be happier. Dr. Klausner recommends what I need, what is best for me and she does it herself. She also remembers what she has done with me and proceeds with a useful, effective regimen. Dr. Klausner answer my questions clearly and candidly. 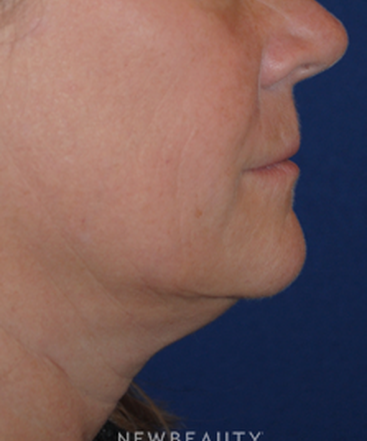 The procedures and treatments she recommended were effective and non-invasive. I am very pleased with the results. I went to see Dr. Klausner when I turned 29 because I was a sun lover. I had uneven skin tone, the surface was not so smooth, and then I started developing freckles I never had. I had Clear and Brilliant laser done. 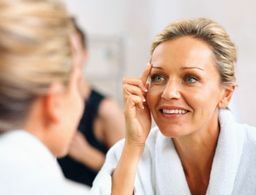 During my consultation, Dr. Klausner was so attentive and answered all my questions and I felt so comfortable with her. Most doctors I have seen in the past rush through the visit and you get you so nervous that you forget to ask important questions. Dr. Klausner takes her time and is huge on patient education which I really value. Quality service and the best bedside manner. I also had Ultherapy done and her staff called the next day to check in on me! LOVE IT! My eyelids were sagging making my vision impaired and when I checked into the airport I had to pay the extra luggage fee for the bags under my eyes. Dr. Klausner came highly recommended to me. During the consultation she patiently answered all my questions and made me feel completely confident in her aesthetic vision. Dr. Klausner performed the eyelift on me, instantly taking ten years off. my face. The procedure was painless and I only incurred minimal post procedural pain. The healing was remarkably quick. I felt comfortable showing my face in public, without sunglasses after one week. My main concern was appearing too tightly pulled. As a man, I really didn't want to look as if I had undergone plastic surgery.. My eyes look totally natural and no one would ever suspect that I had undergone any cosmetic surgery, yet everyone comments on how well I'm looking. My only regret is that I hadn't done it sooner. 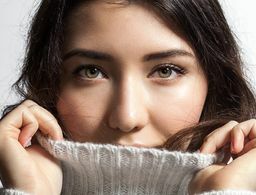 I would highly recommend this procedure for anyone who is unhappy with their aging eyes and if you're going to do it, go to the best, Dr. Klausner. Ultheraphy is a fabulous procedure. It is quick with no down time and unbelievable results. My jawline and neck look ten years younger. I also think it depends who does the procedure. I have friends in Florida who are coming to New York specifically to see Dr. Klausner. Dr. Klaussner is unique. She is warm, caring, so down to earth that it is hard to believe that she is “The Doctor.” My face was devastated by a bacterial infection, in addition to volume loss due to aging. I trust her judgment completely. My son had not seen me in a year, his reaction was “Mom you look better than you did 10 years ago.” I feel like a different person. I now fly back from Florida to see her. Amazing! 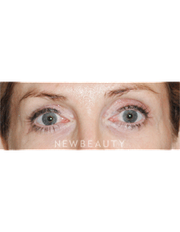 Dr. Klausner encourages a natural look, not a fake, statue look. Personable. Works with you to find something good for you. Tells you about new treatments coming out. Staff is amazing, responsive and confidential. I would refer her for sure. The follow up after the procedure was incredible. I was back in the office to get decongested almost every day, making me much more comfortable after the surgery. Dr. Klausner was always reachable if I needed her and was willing to fit me into her schedule if I needed to see her after my surgery. There are some immediate results and the rest starts to happen very slowly. The one day people start to tell you “Wow you never seem to age,” you look in the mirror and your skin feels smooth and tight, and you are not sure why. Then you remember that you had the procedure done a few months ago. Fabulous and caring. Thorough and conscientious. Have trusted Dr. Klausner for years and my beautiful face has her to thank. I've had a wonderful experience with Dr. Klausner. She really gave her time and full attention during our meetings--making me feel comfortable about the procedure. She is very skilled at what she does, meticulous, and gives her all. Most of all, I am grateful for her honesty throughout the entire process and her compassion. 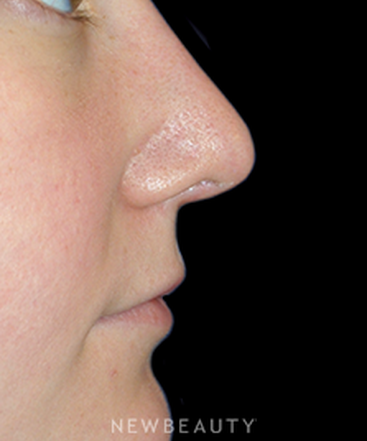 I am very happy with the results and grateful to have Dr. Klausner as my surgeon. Love the result—very natural. Dr. Klausner engenders trust and created a nice a nice atmosphere in her office. The staff is responsive and friendly. I would definitely recommend her. Ultherapy: I’m excited to see the results. Dr. Klausner did a great job setting my expectations about the process. Absolutely the best, caring and attentive, personalized care tailored to my needs. Great results, family and friends will remark how good I look or express surprise when learning my age, yet it is not obvious that I’ve had “work done”. Isn’t this what everyone is looking for? Atmosphere is calm and peaceful. Staff is responsive and friendly. Dr. K is thorough, exact (specific) and excellent bedside manner. Excellent, caring, professional doctor with attentive staff. Everything was great. The staff are so nice—nicer than at any other doctor's office. It’s almost like how doctors used to be: nice, caring, not rushed, nice staff, organized, professional, attentive, etc. Dr. Klausner listened to all my concerns—crazy and normal concerns—with a warmth and kind understanding. She was not rushed. She did not make me feel silly or stupid. I was totally at ease. Also, the work is amazing. I’ve gotten many compliments. 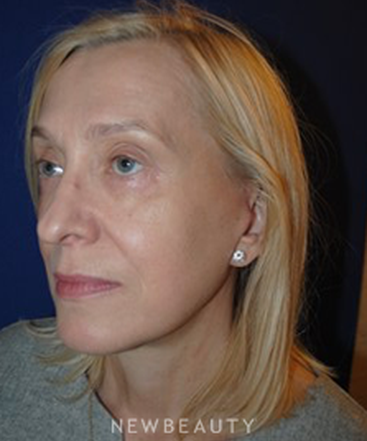 This patient had an upper and lower blepharoplasty when she was 43 years old. 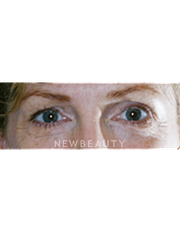 “Now, at age 51, her results still look great without any evidence of puffiness or lax skin,” says Dr. Klausner. 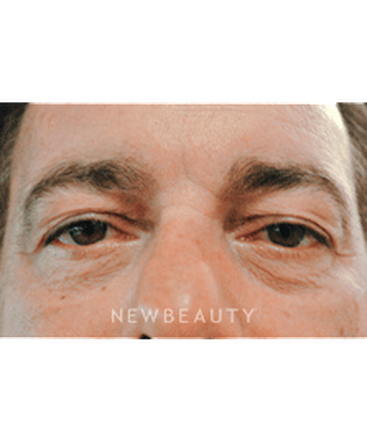 This 58-year-old male patient expressed concerns with the appearance of his excess eyelid skin, but did not want to receive a browlift in fear of looking too surprised and feminine. 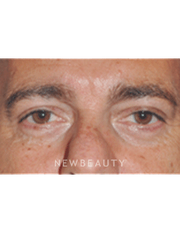 Dr. Klausner performed upper and lower eyelid surgery to give the eyes a more open and youthful appearance. 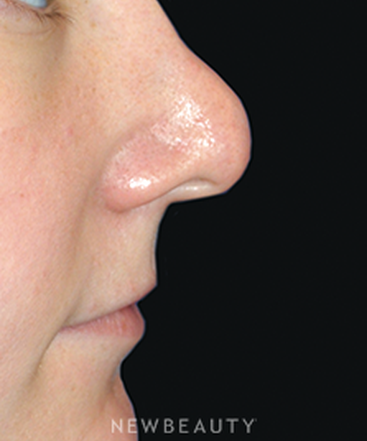 This patient was bothered by the bump on her nasal bridge and had difficulty breathing through her nose. 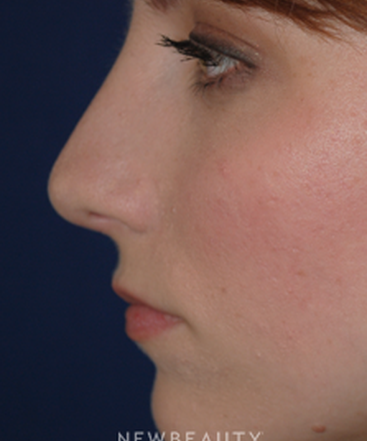 Rhinoplasty gave her a more natural look and allowed her to breathe easier. Q. 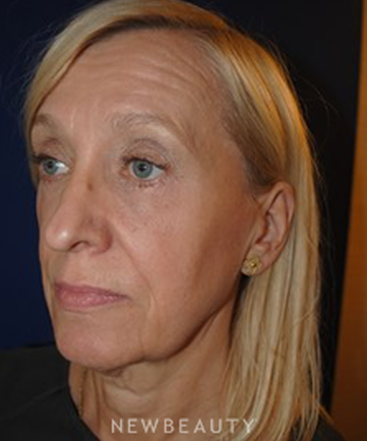 What's the best way to ensure a natural-looking facelift? 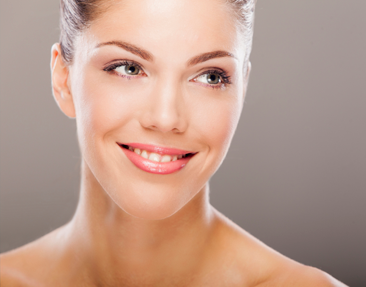 There are three major factors which can yield unnatural facelift results. The first: incision placement. 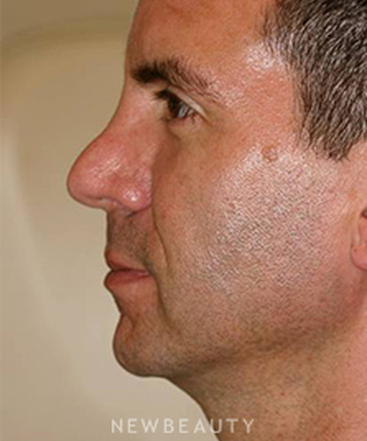 Where the incisions are placed and how they are closed might create scars that are highly visible, don't heal favorably or change the natural hairline and/ or shape of the ear lobe of an individual. 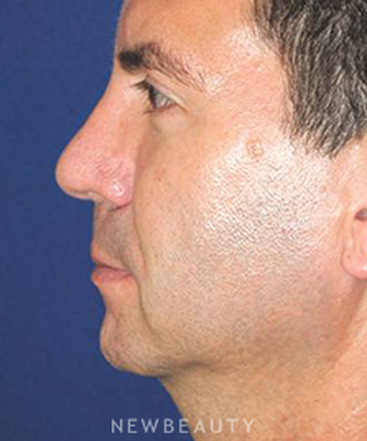 Second, operations that pull too tightly on the mid-face may flatten the cheek and make an individual look different than they did prior to their facelift. 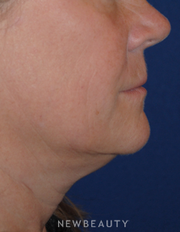 Third, an over operated neck- over aggressive fat removal under the chin and over aggressive pulling of neck skin over the jaw line can also yield an unnatural result. Q. 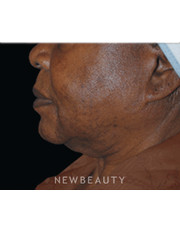 How can Ultherapy benefit cheek wrinkles? The great benefit of Ultherapy is that it can treat laxity at three levels: the SMAS, the deep level of skin and the more superficial skin where fine wrinkles are found. 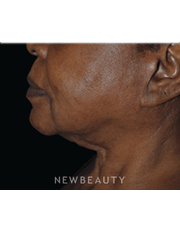 Ultherapy delivers microfocused ultrasound energy to these precise levels and in the healing process new collagen is formed and the tissues contract. 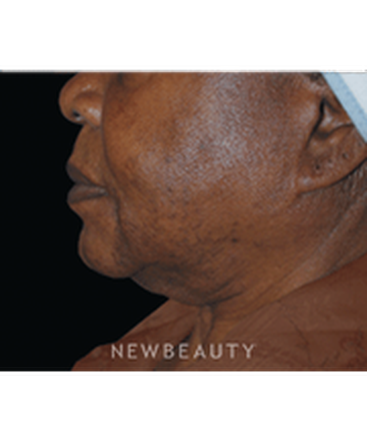 Cheek wrinkles are improved because of new collagen formation and a reduction of the laxity of the tissues around the wrinkle. 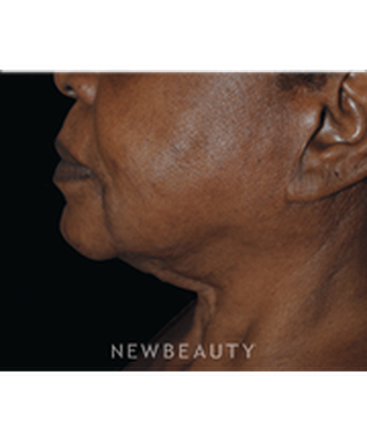 Ultherapy works below the skin surface and by consequence, there is little to no evidence that a patient has had an Ultherapy treatment (=no down time).